American ingenuity in the 1920’s!!! 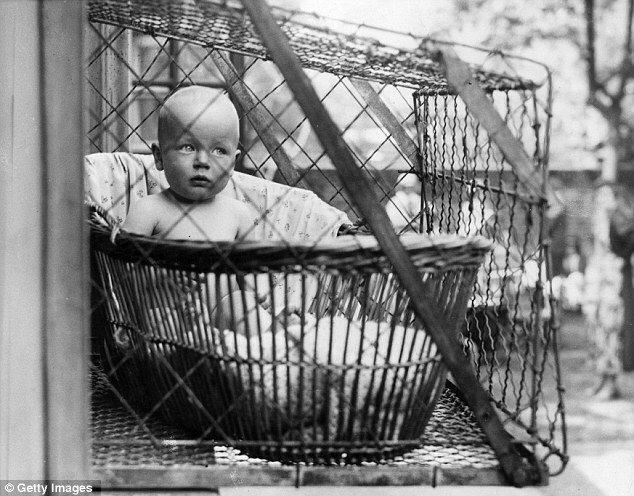 – In crowded cities like New York, baby cages were used to ensure that children got enough sunlight and fresh air when living in an apartment building. 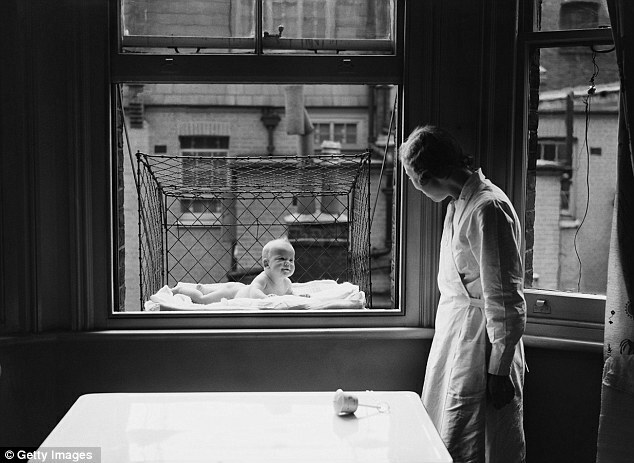 The picture below is from London in 1937. 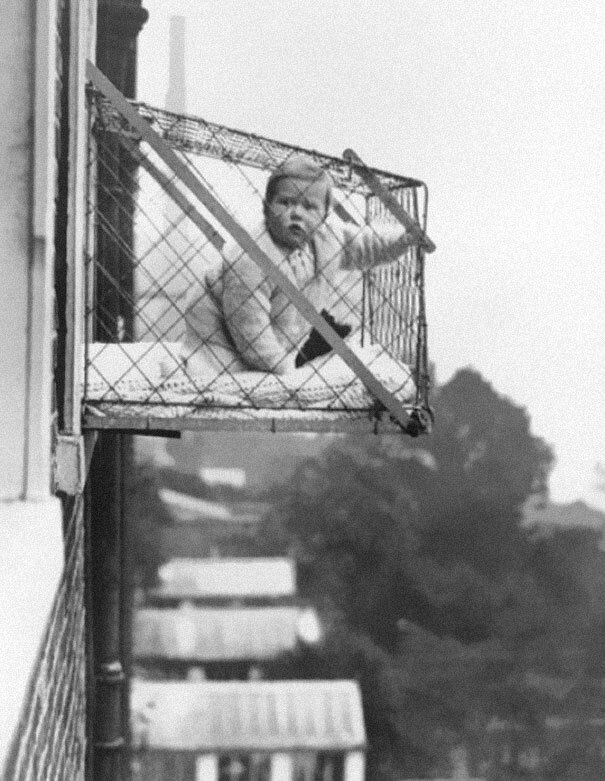 The idea behind the cages was patented in America in 1922 as a means to help parents living in cities who didn’t have much space. 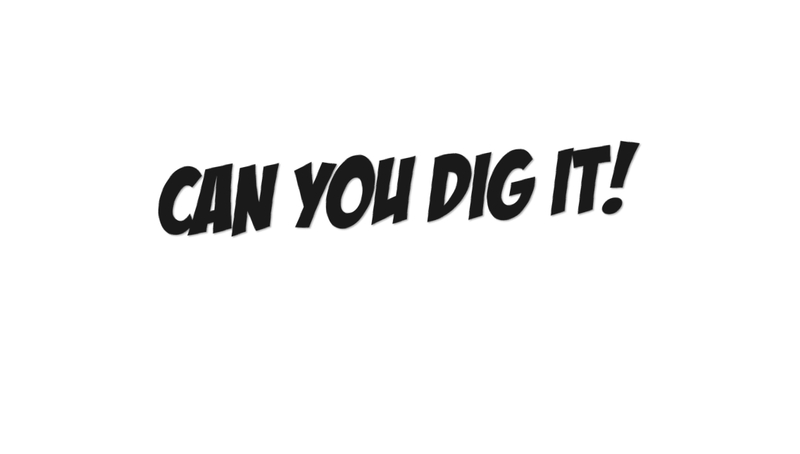 And they say kids have it tough today…..riiiiiiiiiiight!